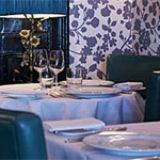 Odette's, headed by masterful chef Bryn Williams offers diners sumptuous modern British fare from its stylish and sophisticated restaurant in Primrose Hill. What did you think of Odette's? Odette is a fantastic place to go for dinner. My girlfriend and I went there for valentine's day and everything was geered to ensure we had a really romantic time. Thank you Odette for a very nice evening. Odette is very, very nice indeed. I hadn't heard of this Bryn Williams character but it turns out he's darn good at setting out a lovely menu. I had to thank my friends for taking me there as Odette was a wonderful place to eat. 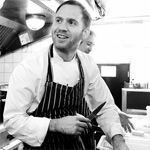 Bryn Williams may be best known for his very successful stint on the Great British Menu, but he should also be lauded for his work at this wonderful restaurant in Primrose Hill. London doesn’t come much nicer than Primrose Hill, and Odette’s feels like the perfect neighbourhood restaurant for somewhere so well-to-do. And well it might – it’s been pleasing patrons since ‘78, and now finds itself in the very capable hands of one of the UK’s finest chefs. It’s a little rabbit warren of a place, and just about as cosy, warm and welcoming a restaurant as you’re likely to find. An intimate first floor dining room leads downstairs to an almost impossibly comfortable bar complete with inviting little alcoves and sofas that swallow, onto the library room (another dining space) and back upstairs past a cute little semi-private dining room. Alfresco seating out the front and a suitably leafy back garden offer plum spots for the summer, but it’s the warmth of the softly lit interior that makes it such a deliciously appealing place for when darkness falls. It all feels very relaxed, despite the fact that this is now certainly as much a destination restaurant as it is neighbourhood. 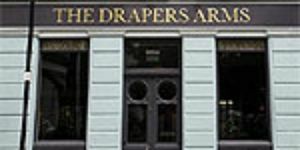 They’ve managed to balance the kind of sophistication that the prices demand with the kind of informality that’s made it such a popular little place over the years. The friendly greeting at the door no doubt goes down a storm with regulars as well as newcomers, and sets the tone for somewhere that feels refined yet homey. 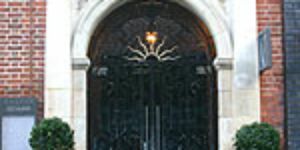 Spacing is well-judged, creating a perfectly pitched background hubbub to conversation, with everyone looking at ease as they coo appreciatively as the courses come out. Service is spot on, with natty staff that look like they enjoy their jobs and know the menu pretty darn well. 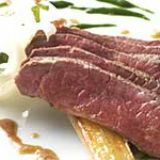 Having provided the main course for the Queen’s no doubt banging 80th birthday party, Bryn Williams offers similarly excellent food at Odette’s, with a modern British menu created from UK producers. A starter of pig’s head and black pudding terrine (£10) is hearty and delicious, with sweet pork pulling apart next to the salty depth of the black pudding, served with apple jelly, pickled mushrooms and crispy ears that aren’t very crispy, disappointingly. The crab lasagne (£12) is rich and velvety, with an excellent shellfish sauce and little bits of baby squid. The shepherds’ pie (£21) might be a bit simplistic were it not for the fact that it features a beautiful balance of loin of Elwy Valley mutton, salsify, mint and some very creamy mash. It’s hearty, but in a very delicate way, if that makes any sense. Anything that’s good enough for our dear old queen should be good enough for most, and the roasted turbot (£25) will indeed please prince and pauper alike. The perfectly cooked fish is meaty enough to stand up to the braised oxtail, and gets a little help from cockles and samphire in a dish that’s certainly worthy of its royal approval. A vanilla crème brulee (£9) is smooth, sweet, delicious and with just the right amount of crunch, but the accompanying poached rhubarb is a little hard, and doesn’t cut easily. 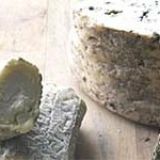 A much better choice is the really good selection of British cheeses, served with chutney and excellent bara brith – the Welsh fruitcake that works especially well with the stronger cheeses. A well-thought out wine list is effortlessly explained by a sommelier who knows his stuff, and, admirably, plenty of options are available by both the glass and the half bottle. There’s a slight emphasis on France, but there’s a good selection from around the world, with prices enabling you to go from the affordable to the extravagant via plenty of mid-priced bins. If you want to keep things relatively inexpensive but still get good value then there’s an excellent Sancerre from Eric Louis at £35, or an equally good Pinot Blanc from Kent’s Chapel Down vineyard at £39, but if you want to push the boat out then the reds perhaps offer better scope, with a good selection of pricey Bordeauxs going up to £195, a Chateauneuf du Pape from Paul Autard at £112, or an Australian Shiraz from Barossa Valley at £83. The food is undoubtedly the star at Odette’s, but it’s given the perfect setting in which to shine thanks to one of the most comfortable, warm and downright charming venues in London. Recommended. My boyfriend and I went to Odette's for Valentine's Day yesterday and were so keen we booked before Christmas! 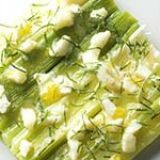 I had wanted to go to Odette's for months - the menus on the website looked amazing and I had already chosen what I was going to have. So I was very disappointed when we got there to find it was a £150 set Valentine's menu with absolutely no flexibility (goodness knows what a vegetarian would have done). I feel they should have made me aware there would be a set Valentine's menu (and that A La Carte would not be available) when I originally booked. The (per couple) menu included a champagne cocktail, two canapes each, starter, main, a cheese course and dessert. The starter was marinated salmon which was very strong and I couldn't even get through 3 of the 5 wafer strips, followed by a lamb main course. I was happy to see the main was lamb as this is Welsh chef Bryn Williams' specialty but was gutted to find it cold and very chewy. It was served with a dollop of squashed tomatoes, a spoon of olive tapenade and single slice of shallot on a puff pasty crisp. So disappointing! Then there was the wine menu - wonderfully extensive with a huge choice. Or so it seemed. The maitre d' told us that all the ones with dots next to them were unavailable as they were changing their wine cellar over the next day so their stock was seriously depleted. Needless to say all the resonably priced wines were "unavailable". While the waitress was very sweet and friendly we had to repeatedly ask for more of our wine (that was being chilled across the room) - our glasses were empty a lot of the time. All in all it was a disappointing dining experience on a very special night. We should have twigged it was not going to be that great when we arrived to find the restaurant pretty much empty on one of the most popular 'dining out' nights of the year. 14 destinations curated by View .